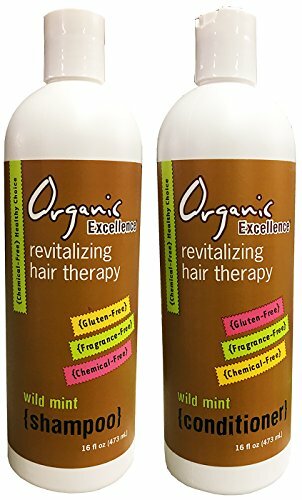 Organic Excellence Wild Mint Shampoo and Conditioner Set Revitalizing Hair Therapy. Chemical Free Healthy Shampoo and Conditioner for All Hair Types. Free of the Harsh Chemicals Sodium Lauryl Sulfate and Sodium Laureth Sulfate Found in Most Hair Care. Promotes Healthy, Beautiful Hair with Body and Shine. Revitalizing Hair Therapy. Safe for the entire family and for those with chemial sensitivities, Wild Mint Shampoo is a luxurious hair therapy, free of the harsh chemicals Sodium Lauryl Sulfate and Sodium Laureth Sulfate found in most shampoos. Wild Mint Shampoo is specially formulated with select ingredients to add moisture and body to your hair. Rich in certified organic herbs, it helps maintain a healthy pH balance, prevent hair loss and stimulate new growth. 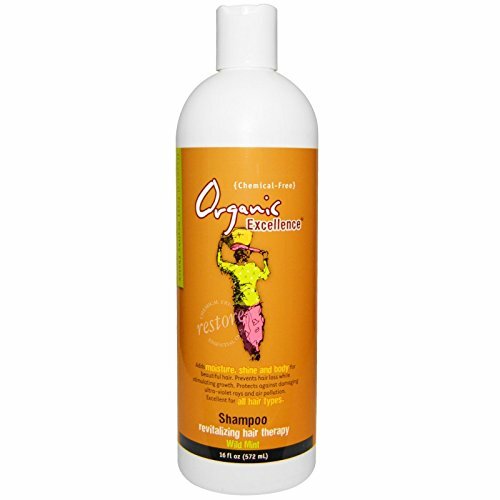 It's effective at relieving a dry, itchy scalp and brings great results to all hair types. You'll love our Wild Mint Shampoo! Combine it with Wild Mint Conditioner and Wild Mint Styling Spray for a hair care system that promotes healthy, beautiful hair. Chemical free products. The mint haircare system. Contains only natural ingredients. Maintains natural pH. Balance. You can feel it working instantly. Excellent for all hair types. No sodium lauryl sulfate. No quarternium-15 (formaldehyde releaser). No propylene glycol (anti-freeze). Why Organic Excellence? The reason is simple. Organic Excellence Chemical Free Mint Shampoo hardly lathers at all compared to commercial shampoos. This shampoo contains No alcohol, No chemical foam booster, No detergents, and No sodium lauryl sulfate, propylene glycol, olefin sulfinate, or mureth sulfate, Organic Excellence Chemical Free Mint Shampoo is an important part of restoring the scalp and hair follicles to their healthy, natural state. A luxurious hair therapy free of Sodium Lauryl Sulfate and Sodium Laureth Sulfate, Wild Mint Shampoo is formulated to moisturize, maintain a healthy pH balance, help prevent hair loss and stimulate growth. It restores shine, moisture, and body for beautiful hair. Ideal for all hair types and safe for the whole family. INGREDIENTS: Purified Water, Olive Oil (and) Coconut Oil (and) Potassium Lactate, Vegetable Glycerin, Peppermint Oil*, Fennel Extract*, Hops Extract, Balm Mint Extract, Olive Leaf Extract*, Ginger Extract*, Mistletoe Extract*, Comfrey Root, Citric Acid, Niacin (Vitamin B3), Lemon Grass Oil*, Burdock Root Extract*, Sage Extract*, Rosemary Extract*, Grape Seed Extract*. *Certified Organic ABOUT ORGANIC EXCELLENCE: A woman owned family company serving customers around the world since 1999. Gentle yet effective formulas, all natural wellness products you can trust. Buy direct from the us, the manufacturer and receive the freshest product available. Handmade in small frequent batches to ensure freshness. Your Chemical Free healthy choice! Chemical-Free. Healthy Choice. Restore. Essential Oils. Gluten Free. Fragrance Free. Cruelty-Free. No Animal Testing. Maintains a healthy pH balance. Deeply moisturizes the hair and scalp. Naturally eliminates heavy build up for vibrant, alive hair. Dramatically reduces static electricity and calms frizz. All natural ingredients add body and shine. Beneficial vitamins and organic herbs nourish and revitalize your hair and scalp. Add luster and manageability while calming static and frizz. A neutral pH eliminates damaging build-up to keep your hair looking and feeling full and alive. 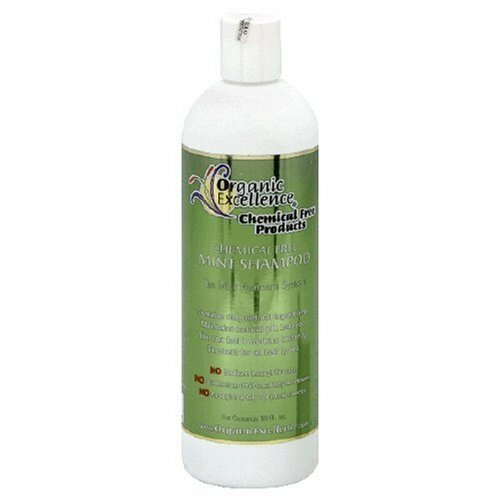 Unlike most conditioners, the Organic Excellence Wild Mint Conditioner moisturizes without coating the hair, building up or creating a heavy feeling. It prevents split ends and hair loss, promotes growth and calms frizz and static electricity. For manageability, deep conditioning, luxurious body and beautiful shine, nothing compares to Wild Mint Conditioner. Ideal for all hair types. Gluten Free Chemical-Free Restore Essential Oils Healthy Choice Adds moisture, shine and body for beautiful hair. Prevents hair loss while stimulating growth. Protects against damaging ultra-violet rays and air pollution. Excellent for all hair types. 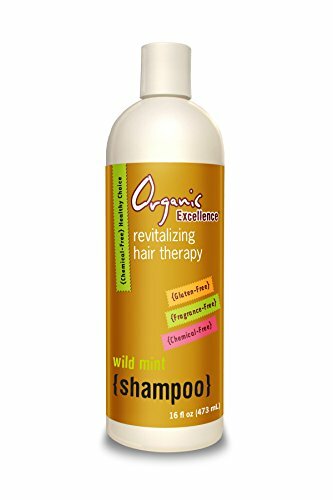 Your chemical free Healthy Choice: The Organic Excellence Wild Mint Shampoo restores your hair and scalp to a healthy, natural state. Free of the drying chemicals and detergents found in most shampoo, vitamins, organic herbs and special ingredients clean your hair and scalp thoroughly, leaving it with a soft, full-bodied shine. The added benefits of organic peppermint oil refreshes, clarifies and cleanses while adding a hint of natural fragrance. Formulated to reduce hair loss and stimulate growth, your hair will quickly look and feel more full, vibrant, and alive than ever before. A luxurious hair therapy, free of the harsh chemicals, Sodium Lauryl Sulfate and Sodium Laureth Sulfate found in most shampoos. Maintains a healthy pH balance. 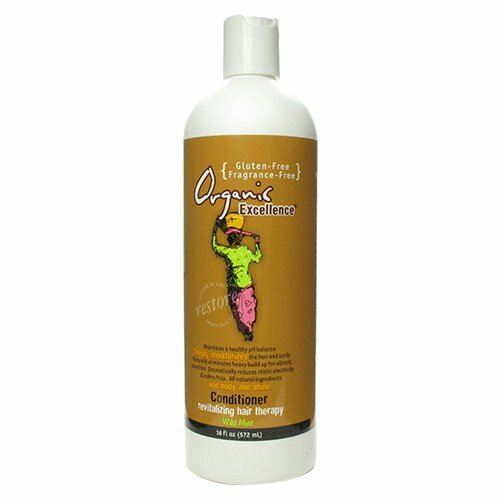 Prevents hair loss and dryness while stimulating healthy growth. Restores moisture, shine and body for beautiful, manageable hair. LTEllZ Briefs is designed with fashion element, The quality is guaranteed due to high-quality fabric. My New Favorite Natural Products! 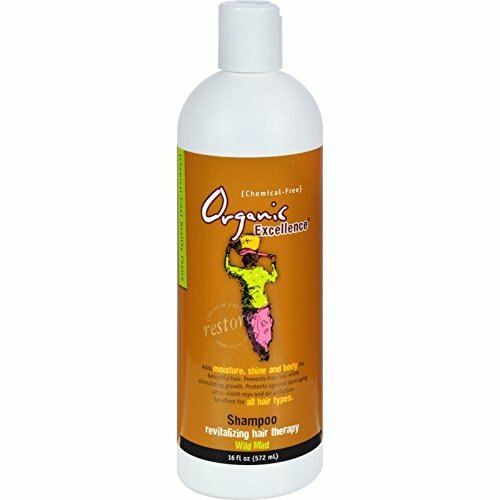 Compare prices on Organic Excellence Shampoo at ShoppinGent.com – use promo codes and coupons for best offers and deals. Start smart buying with ShoppinGent.com right now and choose your golden price on every purchase.